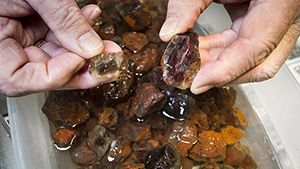 Tiny copper platelets can cause the prized red hue in Oregon sunstone. 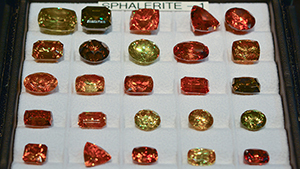 Some sunstones exhibit attractive color zoning. 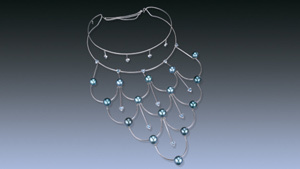 Matte-finish facets can provide an interesting and attractive contrast. 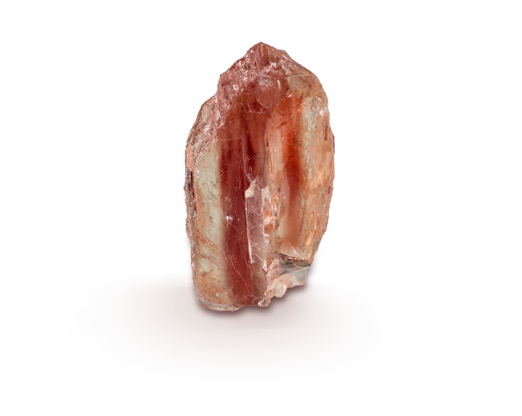 Sunstone’s glittery sparkle shows up even in its rough form. 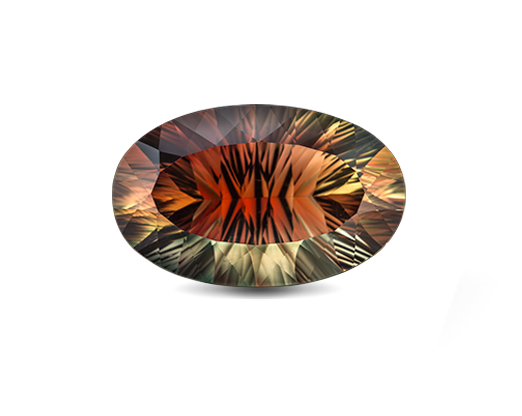 Some sunstone rough displays interesting zoned colors. The Ponderosa mine produces many lovely specimens like this one. Nature gives us a brilliant palette of color-changing leaves and a spectacular kaleidoscope of colorful sunsets during the fall season. John Woodmark provides an update on the Ponderosa sunstone mine in Oregon. 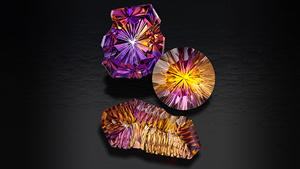 These red, pink and orange hued gems evoke passion and excitement – and are surefire accessories for sultry summer days. 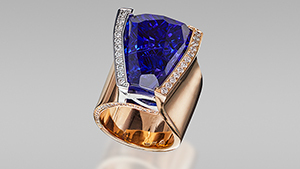 A family sources, designs, and carves gems for extraordinary jewelry and pieces. 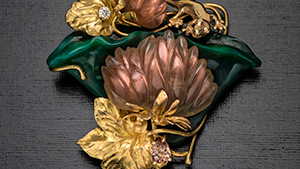 Angela Conty exhibits and discusses her work at the 2016 Tucson gem shows. 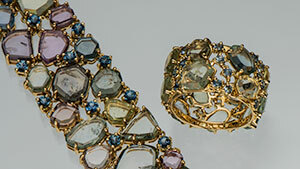 Lesser-known gem materials are seen in pieces alongside a collection created as an artistic inheritance for future generations of jewelry fans. 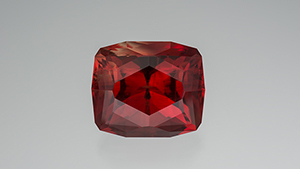 An review of the Oregon sunstone seen at the Tucson gem shows. Rare material seen at the GJX show in February 2015.